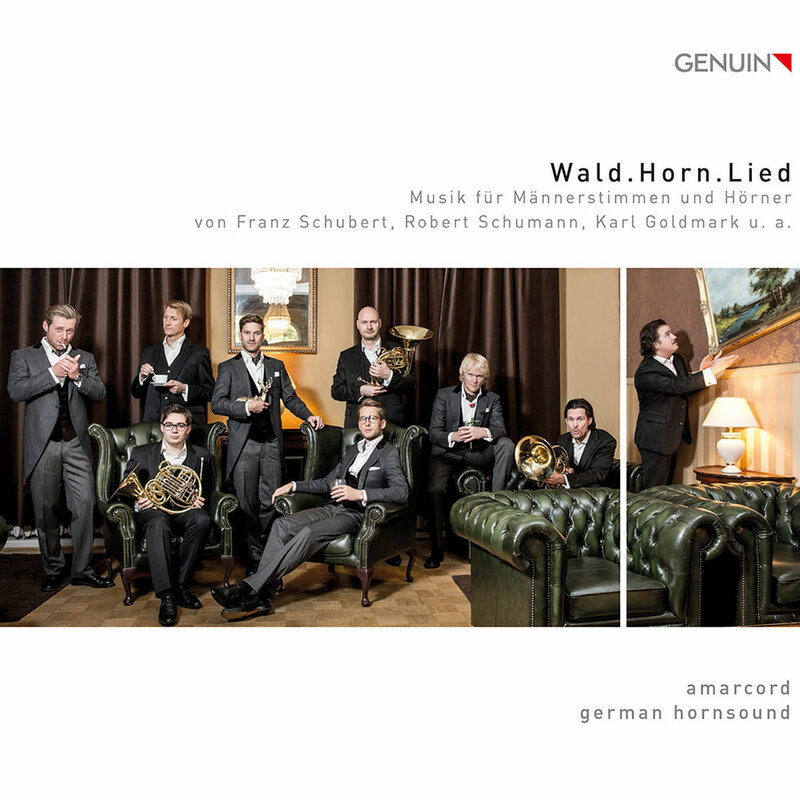 Wald.Horn.Lied: Musik für Männerstimmen und Hörner von Franz Schubert, Robert Schumann, Karl Goldmark u. a.
Wald.Horn.Lied features an exceptional collaboration of superb artists, with world renowned vocal ensemble amarcord recording with german hornsound for the first time. It certainly comes as no surprise that these two ensembles would find common musical ground in the depths of the German forest. Songs by Schubert, Schumann, Goldmark and others, including a number of rarely-performed works, are born from the very heart of German Romanticism and speak of love, sorrow and eternity.